OverviewThe sequel to Fight Night 2004. The game would focus on knockouts by adding Haymakers to the total punch control setup. 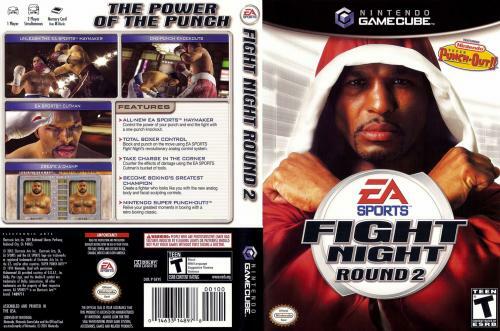 The GameCube version had the Super NES game Super Punch-Out!! playable. In addition, you could unlock Little Mac as a playable character in the main game. Now you can add videos, screenshots, or other images (cover scans, disc scans, etc.) for Fight Night Round 2 to Emuparadise. Do it now!